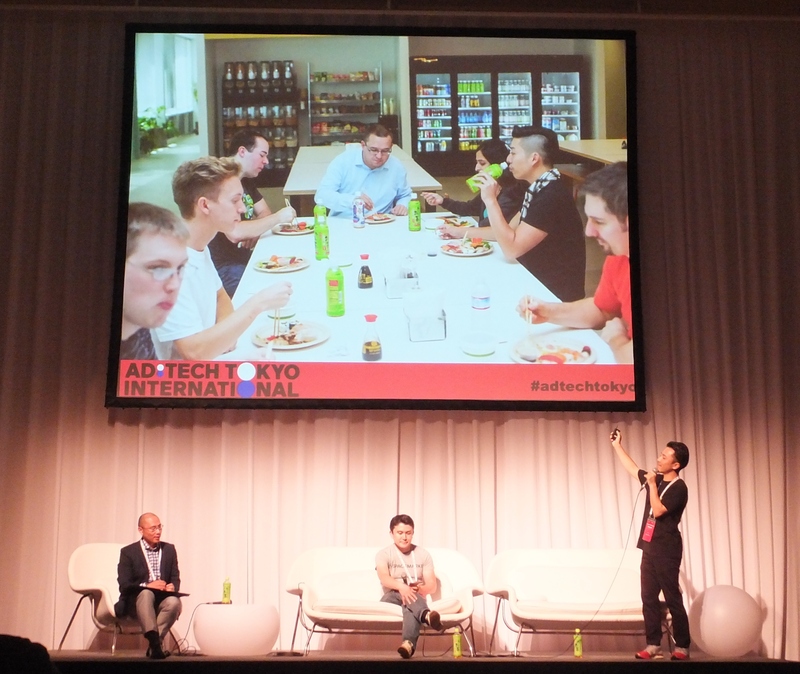 ad:tech tokyo international 2015: the advent of a new era? 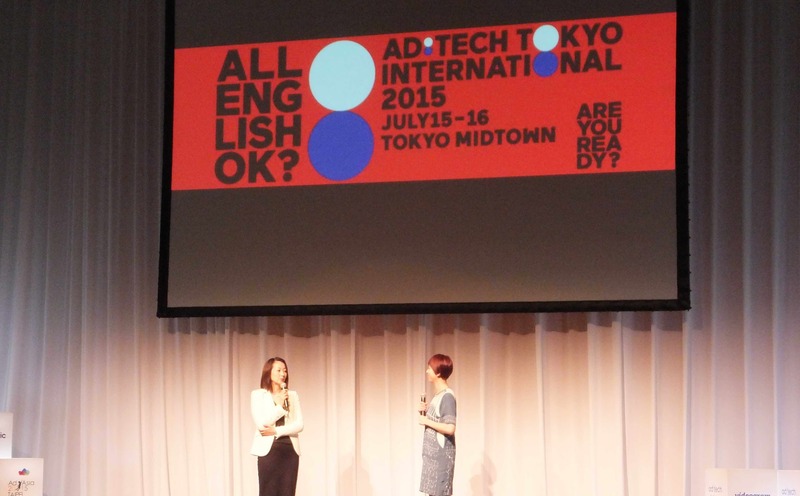 It was only my?second time attending an ad:tech event, but even from my limited experience I could observe that this year’s all-English Tokyo summer conference, hosted by dmg::events Japan, differed dramatically from years before. The Tokyo location, which usually attracts the greatest crowds worldwide with a whopping average of 22,000 attendees, was held on a smaller scale this July 15th-16th in Roppongi’s Tokyo Midtown district with only 1100 participants, allowing for a cozier, more intimate environment for professionals to make deeper network connections and get to the bottom of core industry issues. The conference brings together marketing, media, and tech communities in ten locations around the globe each year for workshops, networking opportunities, and forums to exchange ideas on latest industry trends. As someone new to the business, I was pleasantly surprised with the Tokyo change of structure. The previous year I felt lost at sea, overwhelmed by the clamor of public exhibition booths, but with exclusive access to the select speaker closed room meetings, one-to-one sessions with executive attendees, and a festive networking party this time, I was able to have in-depth discussions with industry experts- an experience previously believed to exist in dreams within dreams. According to dmg::events Japan Representative Director and President Masato Taketomi, this year’s all-English challenge was a real success. The common communication medium pulled tech insiders and industry thought leaders of the highest caliber from around the globe and home, giving birth to a dense conglomeration of industry talent. This unique environment allowed for even small startup members and newbies like myself to engage in conversation with hot shots of major corporations- Google, Ito-en, and Hakuhodo to name a few. The Lowdown: What Goes on during Those Exclusive Sessions? During the close speaker sessions, marketing, media, and technology insiders shed light on a diverse array of topics, such as how does ad tech differ between Japan and the rest of the world? How do brands build customer loyalty with signature moments? What will be the marketing design for post- 2020? Similar to a university lecture schedule, sessions ran back to back with short breaks interspersed in between, and participants had a choice of attending one of three panels divided by theme each round. After a Q&A session, audience members were allowed to approach panelists, take photos, exchange business cards and form connections with otherwise difficult-to-access industry experts. The largest product currently going through the IoT-zation process is the London subway: By installing internet-connected sensors in every single escalator and train compartment in the underground network, departments that were previously not communicating with one another now know exactly when to schedule maintenance and prevent technical malfunctions, resulting in 30% increased efficiency, mentioned Anis. It seems that tech companies are so ready to embrace IoT that Microsoft is willing to provide software for free to people who will develop IoT devices. Hearing about case studies about IoT truly made me ponder the mind-blowing possibilities of big data: A world in which we focus on the prevention of problems, rather than finding the solution, would certainly mean a higher standard of living across the board. Consumer expectations would rise drastically, with users demanding instant gratification from their continuously plugged-in devices. The Social Robot: Consumers’ New Best friend? The era of big data also brings?with it the advent of Jibo, the world’s first personal social robot that will order your takeout, teach your child math, and even provide human therapy for the elderly, says Anis. Meet Jibo below. If you have a fight with your spouse, Jibo will record your mood and at what time the event occurred. Technology experts anticipate that predicting consumer behavior for marketers will be very easy with the emergence of big data and social robots, and any brand that does not design on these technologies will fall behind, as consumers will be more tuned in to their personal robots than their phones. While I certainly feel the urge to push the limits of technology and see where it can take us, I personally found the concept of social robots to be a little eerie. The idea of machines knowing more about us than we do ourselves is impressive yet slightly creepy, and I wondered whether users would so readily welcome the social robot as a new member of the family. The keynote speeches indeed had me stunned as I pictured human life ten years from now. Yet perhaps the most stirring sight was that of Japanese panelists leading discussions in English. “I have been to Japan many times, but this is the first time for me to see this many Japanese people speaking English” commented Erick Hallander, Regional Director Mobile & Innovation, Asia-Pacific at Isobar and winner of best keynote speech. Although equivalent to our industry “superstars”, you could see a mixture of nervousness, embarrassment, and excitement trickle down the panelists’ faces as they really pushed through to make their voices heard. This tenacity truly reassured me that Japanese industry leaders are taking big strides for idea exchange with the world. Antti Sonninen, CEO of Slush ASIA, highlighted the success story of the movement he’s driving in Japan, substantiating?this belief that Japan is getting ready to confront English on a whole new level. Slush ASIA, Tokyo’s first all-English startup conference that was held this past April, differed from prior Japanese startup events as it was not invitation based but allowed free access to entrepreneurs of all backgrounds. “I’ve worked on several projects in Japan in the recent years, and at Slush ASIA for the first time I saw Japanese young people that were optimistic, excited and not afraid of making mistakes. And the biggest part of that was going all-English. After that, Skyland Ventures Fest Tokyo emerged all-English. Then ad:tech Tokyo. I’ve never seen anything like it and I’m super excited of this new confidence that Japan has” asserted Slush ASIA CEO, Antti Sonninen. I for one was certainly impressed by this wave of startup events generated post-Slush ASIA. It is but only one example that shows that the stigma surrounding English in Japan is diminishing, and Japan is proactively taking steps to transcend the language barrier. ? Whether the world is ready or not, talk at ad:tech of IoT, social robots, and the all-English pattern springing up all over Tokyo really points to an inevitable transition to a new era, where failure to take on these trends could well determine if you sink or swim. The cliffhanging questions are, what will life on earth look like once these changes have taken effect? And to what measures will industry players resort to keep ahead of the game? In an industry ecosystem full of unexpected change, even our best ad:tech experts can only predict.